We’re really excited to announce our first Artist-in-Residence at CIVIC SPACE, Samantha Lefort with the Urban Ecology Project! 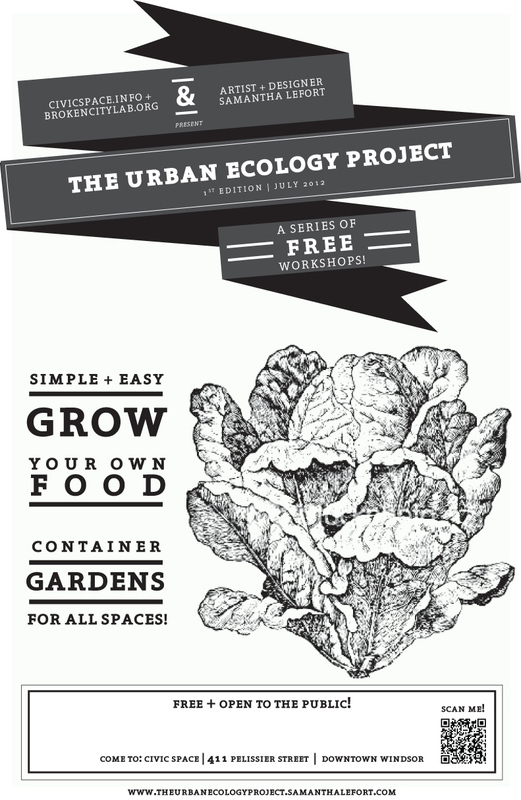 Evolved from a love of design, urban environments, and creative projects – The Urban Ecology Project is the interjection of ecology and new life into an urban space. It kicks off on Tuesday, July 24 for a week of workshops. Did you know 1 in every 3 bites of food are thanks to the pollination of bees? It’s true! 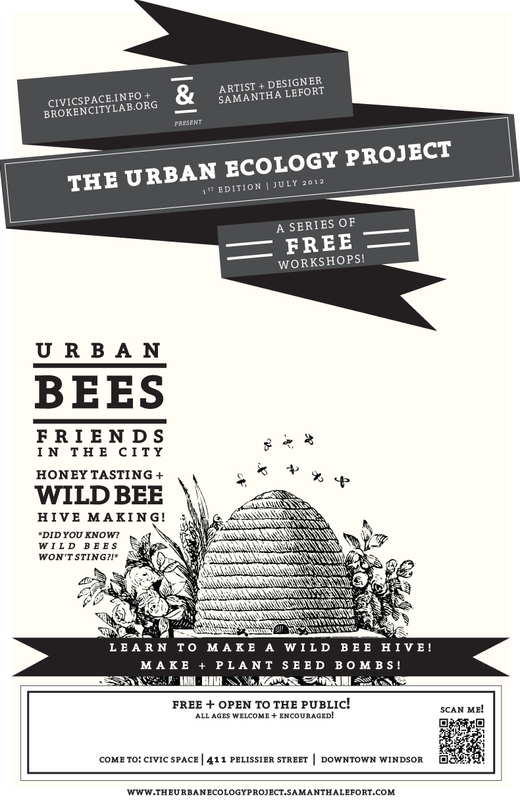 Come and explore bee culture and honey culture in the urban landscape. Taste some honey and make a wild bee hive! Add some edibles to your landscape! One of the best and most efficient gardening methods, container gardening is great for any space! 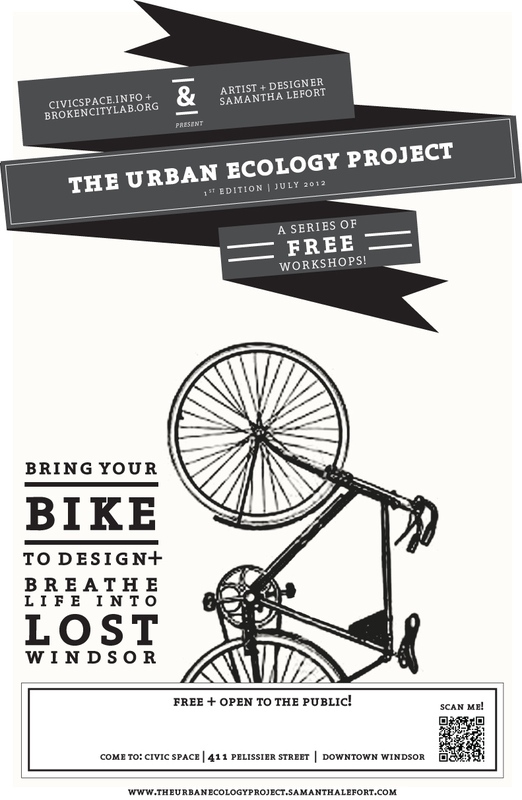 In traditional design charette style, participants will be presented with an opportunity in the local community to see new possibilities and spark an invigoration of underutilized space – via bicycle. Exploring urban place by bicycle – acting as flaneur about the city, noticing, seeing, creating an urban narrative for NEW possibilities in the spaces we seldom see. 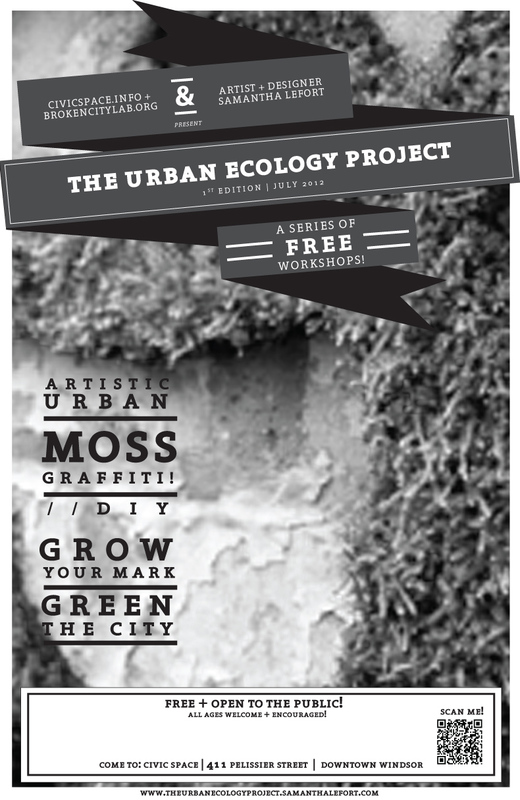 Learn how to make unique and intricate moss graffiti to add a little green to your City! All natural and chemical free, these beautiful living art pieces thrive on their own after application.All workshops are ALL AGES and FREE!! Any questions? Let us know. SPACE IS LIMITED, please contact us to register in advance! Here’s the entire set of lovely posters Samantha designed!